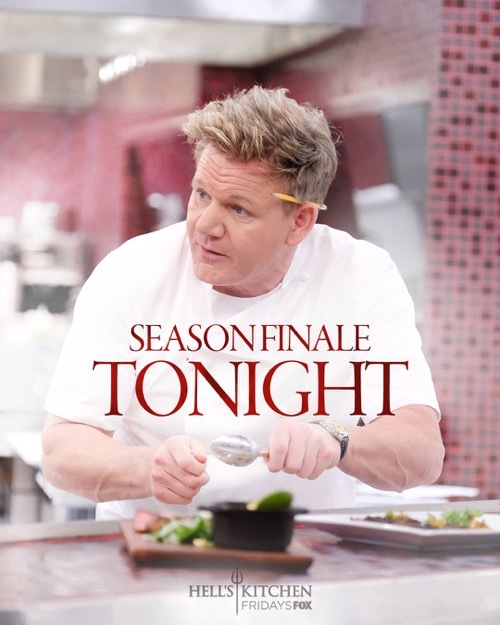 Tonight on FOX their Gordon Ramsay culinary competition series Hell’s Kitchen airs with an all-new Friday, February 8, 2019, season 18 episode 15 and we have your Hell’s Kitchen recap below. On tonight’s Hell’s Kitchen season 18 episode 15 episode called, “Rollercoaster Ride,” as per the FOX synopsis, “After a shocking elimination, the final two chefs receive unexpected help for their final menus. They share their highs and lows with Chef Ramsay over brunch and are surprised with a visit from their families. So make sure to bookmark this spot and come back from 9 PM – 11 PM ET for our Hell’s Kitchen recap. While you wait for the recap make sure to check out all our Hell’s Kitchen news, spoilers, recaps & more, right here! Tonight’s Hell’s Kitchen recap begins now – Refresh Page often to get the most current updates! The second person moving onto the Grand Finale was Mia. She like Ariel had caught the second sabotage in time and Chef Ramsay also believed she could win this. It was sad to see Brett go though. He has had plenty of highs and lows this season. Only the dedicated everything he ever did to both of his parents who unfortunately were gone now and so it was nice that Ramsay acknowledged that as he said goodbye to a damn fine chef. But the ladies had been happy to be finalists and they couldn’t wait to begin crafting menus. Ariel teamed up with Chef Christian who asked her questions she wouldn’t have thought of and who also challenged Ariel. Ariel wanted to a Latin flavor menu with a bold taste and bright colors and so she was hoping to put something of herself on the menu. Mia, as it turns out, had the same idea. She crafted a menu based on Latin flavors and had a harder time working with Chef Jocky. Jocky was from the UK and he wasn’t used to Puerto Rican dishes. He had needed a translation for most of it and he also quite blunt. He heard that Mia wanted to do her own spin on croquette and shot it down. He asked her if she wanted to be herself or if she wanted to win? Mia’s spirits had taken a hit from that and so it was a good thing Ramsay had a surprise for his finalists. He later revealed that their families flew to be with them and they were even given time to just sit down with their parents. Ariel was an only child and it helped foster an independent streak that she credits for making her a go-getter and she says that she still feels like she could go home whenever she needed to. Mia’s own reunion with her parents was heart-warming as well because her parents told her how proud they were of her and just knowing that they believe he helped her realize that she needed to be herself for this competition. She was going to go ahead with her menu and doing things her way. The ladies had to say goodbye to their parents and, while they did miss them, they still had a few things to do in this competition. They had gone to lunch with Chef Ramsay who asked them about the highs and lows of theirs from this season. They both had them, but he’s remembered that it was Ariel that sent a raw fish to his daughter on her birthday and so Ariel was hoping she could recover ground with her menu. Both ladies were asked what they were going to cook and Mia had gone first. She said she was going with a Latin flavor and that she was cooking a certain Peruvian chicken dish. Which worried Ariel because she was also cooking the same dish and so she admitted that their chicken entrees are very similar. The only thing different about the dishes is going to be the seasoning and the sauce that Ariel is included with hers. She said her menu was a Mexican style with Asian influence and so there was definitely some difference between the two menus. Chef Ramsay thought both of their menus sounded strong and he ended up giving them the rest of the day at an amusement park with their families. They got to go on various rides and pretty much had the whole park to themselves. They were later joined by Ramsay and his daughter Holly who apparently was really excited about trying out the newest ride that was the fastest at the park. Therefore, the ladies didn’t suspect a thing as they walked into the finale. Their last ride was, in fact, their last challenge. The ladies had no warning whatsoever and therefore they had to change from family time to cook time. They also had to cook with a roller coaster over their head and people constantly screaming. It was a stress test to the max! Ariel had to deal with some doubts from Christina because she chose to cook mackerel only it wasn’t as bad as Mia. Mia had to cook her dishes and to also teach Jocky how to cook her dishes. He didn’t know anything about her Latin dishes and so they worked out an agreement in which Mia tasted everything he cooked. And before either of the finalists knew it, Ramsay called time and they had to offer up all of their dishes. The guest judge tasting the cold appetizers was Chef Mary Sue Milliken. She was basically known for Latin flavors and so the finalist had to be perfect. Mia cooked a Hamachi tiradito for her cold appetizer. It was a Peruvian version of sashimi with some black truffle and fresh sturgeon caviar. The judge tasted it and she described as delicious. 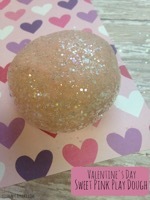 She didn’t know if she would have added the truffle but overall a delicious dish and it looked like similar to Ariel’s. Ariel cooked a shrimp ceviche Rojo with a little bit of avocado and some plantain chips. The judge describes as it as very good even if she couldn’t get to the bottom with her spoon and so the judge gave both ladies their final tally on their cold appetizers. Milliken gave Mia a nine out of ten and she gave Ariel an eight out of ten. The guest judge tasting the hot appetizers was Chef Rick Moonen. He has a restaurant in Las Vegas and both ladies were huge fans. Ariel cooked wagyu tataki topped with spicy aioli, red onion, and garlic chips for her appetizer and the judge called it a party in his mouth. He moved onto Mia’s dish next and she cooked mofongo. It was a very traditional dish with the inside of it having plantain and a little bit of pork fat. The judge called her dish comfort food and said it was a little more comfort to the heart although he wished it had a little more seasoning. Mooned enjoyed both dishes and he had been ready to give the finalist their scores. He gave Mia an eight out of ten and he gave Ariel a nine out of a ten. The guest judge tasting the seafood entrees was Chef Josiah Citrin. He was another Michelin star chef and he expected the best. The first dish he tasted was Mia’s. She created a seafood entrée called fideos a rossejat. It had shrimp and cuttlefish. The judge enjoyed it and said he would like to go in for another bite. The next dish was Ariel’s. She cooked a Spanish mackerel Veracruz and lucky for her the judge loved mackerel. He enjoyed the dish and he liked that she took such a risk. Citrin gave Mia an eight out of ten and he gave Ariel a nine out of ten. Ariel was leading the competition by one point and so the next dish had to be good for Mia or she would have lost the competition by the entrée course. The guest judge tasting the chicken entrees was Chef Hubert Keller. The guest judge was renowned for French foods and so the Latin flavors outside of his usual tastes. The first dish he tasted was Ariel’s. She cooked a roasted chicken breast made with slow-cooked roasted chicken skin and blended into the chicken juice. It was moist and had the right kind of heat for Keller. He then moved onto Mia’s dish. She cooked a Peruvian Pollo a la Brasa which was marinated in soy sauce, cumin, and paprika. The judge enjoyed it and he later gave a nine out of a ten. He then went on to judge Ariel’s dish and he gave her an eight out of ten. Thereby making both ladies again even in the competition. As for the guest judge that tasted the final courses of the night, he was Chef Michael Cimarusti. He had to be the one to break the tie and he had to judge the red meat. He first tasted Ariel’s dish. She cooked a mole-rubbed rib cap with mole-red wine demi, roasted carrots, and fresh watercress. The judge loved that she cooked a very difficult piece of meat and that she made it so delicious. He then tasted Mia’s dish She cooked tostones cooked over the meat with some dipping sauce. And her dish had left the judge speechless because he found it to be so good. It didn’t even come as a surprise when Chef Cimarusti chose Mia as the winner of their last challenge. Both ladies had one last dinner service and they got to choose their team among their former contestants. Mia chose to have Roe, Trev, Jose, and Heather on her team while Ariel chose to have Kanae, Bret, Motto, and Scotley on her team. Both of the women had a chance to talk to their teams and help them become familiarize with their menus. Ariel’s team got where she was coming and had no problem with the menu. Mia, unfortunately, had to explain most of her dishes to her team and even then they had ideas about this or that. One person got Mia to change her mind about how to cook her chicken, but otherwise, her team was fine with following her lead and so the problems didn’t crop up until they were getting ready in the kitchen. Both teams had to cook a sample menu for Chef Ramsay to taste and the ladies each have a different leadership style. Ariel was very clear in the kitchen and she was willing to answer any question that someone had. Only they didn’t ask questions or needed clarifications and so her taste menu was awful. Her team forgot to season meat, undercook the pork, didn’t put enough on the plate and were just all over the place. It wasn’t even Ariel’s fault and she had to accept the blame because she was the leading the team. So Ramsay tried to tread carefully with her. He didn’t want to step all over her self-esteem right before dinner service though he told her to stop running from success. She shouldn’t have traded out the mackerel for another fish and she needed to regain some of her confidence from before. She lost the last challenge, she didn’t lose the whole thing. Mia, on the other hand, had a different sample menu experience. Ramsay tasted everything she put out and it had all been delicious. He loved everything and told Mia to keep up the good work but Mia’s leadership style was more dictator. She shouted at everybody and demanded that they do it the way she showed them. Her team was cursing her under their breath and pointing their finger at her when she wasn’t looking. They seemed to hate her at the best of times and so Mia thought their fear would mean they’d stay on top of something. It turns out that wasn’t the case when the actual dinner service occurred. It was fine in the beginning and then Roe kept burning her pork medallions. Roe soon asked for help from Heather and that turned things around. Meanwhile, Ariel’s kitchen had several problems because people kept burning stuff. Kanae burned something and she soon turned it around. Then Scotley had a problem because he put too much char on his steak and he didn’t like it when Ariel watched him. He said he got this and he soon took it around as well, except there was always someone on Ariel’s team that was screwing up. It was next Bret who delivered undercooked protein and so once he fixed it there was a moment in which both kitchens were at the gold standard. They were both on top of their dishes and everything was coming out perfectly. And so the first person to mess with the great service was Roe. First Roe overcooked something and then Bret must have caught the bad juju because he undercooked several things. Thankfully, they weren’t on the same team or else they would have sunk it for just one person. So both team leaders had a word with them and the dinner service returned to perfection. Everyone was served and everyone enjoyed what they ate. With such a service, it was hard for Ramsay to choose a win yet the winner of this year’s Hell’s Kitchen was Ariel.